Shop online for 106 paint brushes at discounts up to 65%. Testors is ranked #1 out of 5 paint brushes manufacturers, followed by Atlas Brush Co., and Tamiya. This is a set of 6 Camel Hair Detail Paint Brushes by Atlas Brush Company. This is a 4-piece Taklon Detail Brush Set from Atlas Brush Co., Inc.:. This is a Flat 3/4 Camel Hair Detail Paint Brush by Atlas Brush Company.:. 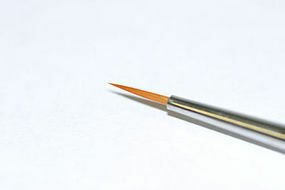 This is a Tamiya High Finish Pointed Modeling Paintbrush (Ultra Fine). This is a Flat 1/2 Camel Hair Detail Paint Brush by Atlas Brush Company.:. 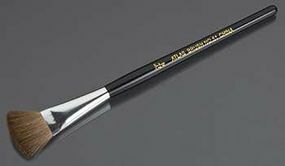 This is the 20/0 Golden Taklon-Triangle Handle Brush by Atlas Brush Company.:. This is a 10/0 Red Sable Detail Paint Brush by Atlas Brush Company.:. This is the Set of 6 Economy Brush Set by Atlas Brush Company. This is a #1 XF Red Sable Round Detail Paint Brush by Atlas Brush Company. This is the Tamiya Medium Tip Weather Sponge Brush. This is a Flat 3/8 Camel Hair Detail Paint Brush by Atlas Brush Company.:. This is a 5/0 Red Sable Round Detail Paint Brush by Atlas Brush Company. :.